A London schoolboy discovers the magical sword Excalibur. "Success will no longer be determined by bloodlines," says the character played by the son of British acting royalty Celia Imrie to the character played by the son of British acting royalty Andy Serkis in The Kid Who Would Be King. To say writer/director Joe Cornish's children's fantasy is confused about its message is an understatement. Playing more like a lecture than a piece of storytelling, The Kid Who Would Be King is an anti-Brexit movie. Or maybe it's pro-Brexit. I'm not entirely sure. Either way, it's about Making Britain Great Again. An animated prologue quickly recaps the legend of King Arthur, letting us know that the wizard Merlin's nemesis, the sorceress Morgana (Rebecca Ferguson), has been living underground for centuries, waiting for things to get dark enough in the Britain above for her to make her return and plunge the land into eternal darkness. Cornish never quite gets into why he considers 2019 the worst time in the history of Britain, a conclusion only a financially well-off, straight, white man would come to. Wouldn't Morgana have been better off making her play 60 years ago when landlords advertised their flats with a "No Blacks, No Irish!" disclaimer and gay men were chemically castrated? Or 100 years ago when children were working in mines and their mothers couldn't even vote to change that situation? Or 200 years ago when slavery was in full effect? All Cornish presents us with is a newsstand with tabloid headlines that read "Gloom" and "Misery." 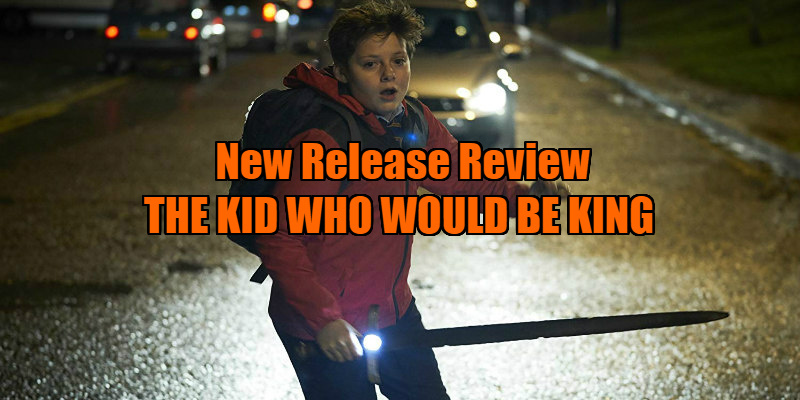 In a setup suspiciously similar to that of the '70s British kids' show King of the Castle, a put-upon schoolboy, 12-year-old Alex (Louis Ashbourne Serkis) is knocked unconscious after being chased by bullies into a construction site. When he wakes he discovers a sword sticking out of a piece of debris, which he pulls out and takes home. Wouldn't you know, it's only Excalibur, the mythical sword of King Arthur, and Alex's possession of the blade draws the attention of Merlin (Angus Imrie), who has been slowly aging backwards and now resembles a very foppish teenage boy. In one of the film's many scenes of characters explaining the plot, Merlin informs Alex that he is the successor to the throne of Camelot and has four days to defeat Morgana before her minions take control. Knighting his best mate Bedders (Dean Chaumoo) and his former bullies Lance (Tom Taylor) and Kaye (Rhianna Dorris), Alex sets off on the dangerous quest. Cornish's film is clearly influenced by the '70s and '80s British kids TV that he and his generation grew up on. Shows like Sky, Grange Hill, Into the Labyrinth and the aforementioned King of the Castle. These were shows that refused to talk down to their young audience, and which didn't sugarcoat how tough life could be for kids in the Britain of their era. The Kid Who Would Be King superficially evokes their spirit, and its heart is no doubt in the right place, but it constantly talks down to its target audience, with characters speechifying about how We All Need To Get Along if we're going to overcome the evil taking root in the fabric of society. It's here that The Kid Who Would Be King is confusingly hypocritical. It argues for equality while reducing its ethnic cast members to damaging stereotypes - the Asian nerd who has to be constantly rescued by his white friend (though Chaumoo still manages to steal the show) and the thuggish black girl who suspiciously knows how to drive a car. 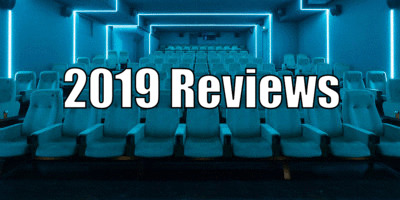 The film wants to portray its hero Alex as a member of the downtrodden proletariat, arguing the case for meritocracy over monarchy, but he and his single mother live in the sort of house only a Russian oligarch could afford at today's London prices. Okay, so its message is fudged, but is The Kid Who Would Be King any fun? Well, no, because it expends so much of its energy trying to hammer home its message that it forgets to create the sort of magic and wonder that might rival the iconic legends it half-heartedly appropriates. The great thing about a good folk tale is that you can extract a message of contemporary relevance from it while also finding it a ripping good yarn. The Kid Who Would Be King is all yawn and no yarn. 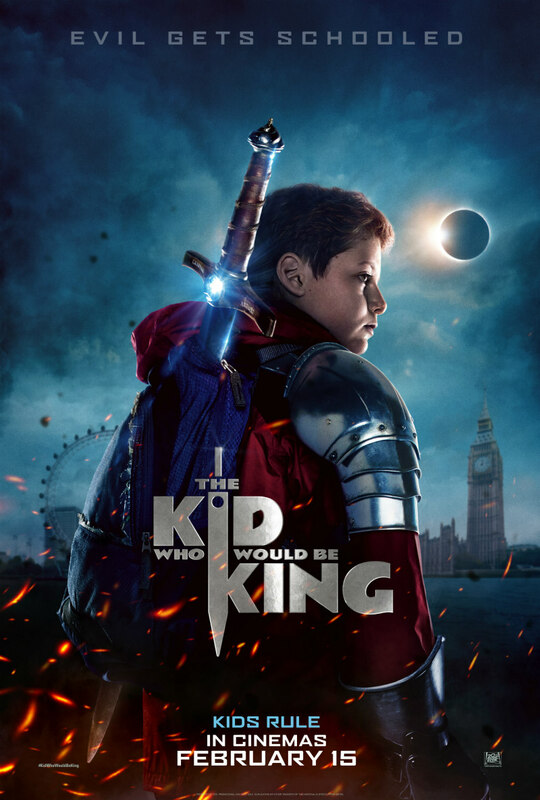 The Kid Who Would Be King is in UK cinemas February 15th.